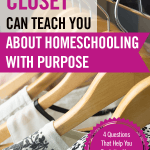 I read this article and wanted to share it with you: What Your Closet Can Teach You About Homeschooling With Purpose https://blog.sonlight.com/homeschooling-with-purpose.html. Have you been digging into your closets, decluttering and finding the best outfits among the pieces that just take up space and time? It can be a lot of work but the results are refreshing! My daughters and I spent some time a few years ago finding our best color palettes and trying to make sure our closets only contained colors that flatter our natural features. My daughter Jonelle (a busy young mom) says going through her clothes regularly makes getting ready so much easier. She takes into account what her daily life is actually like so her wardrobe reflects that. 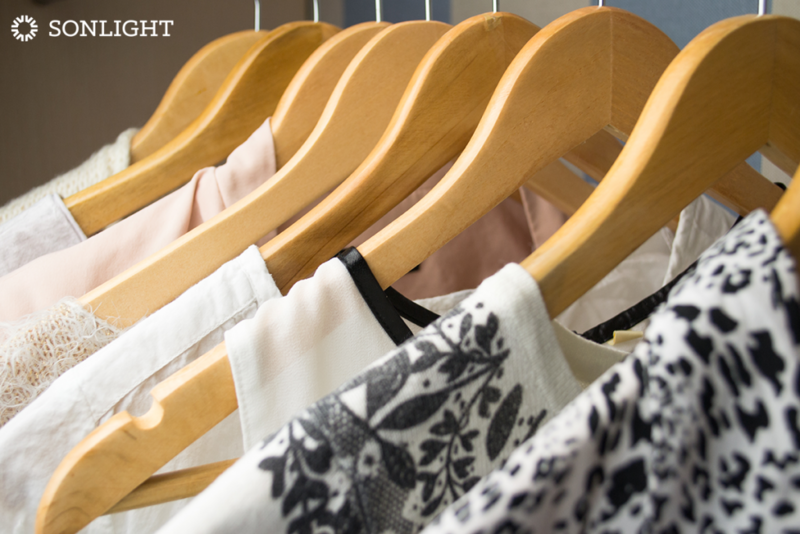 I've been thinking about how your clothes closet is a great analogy for your homeschool life. Just as having the right pieces you love in your closet makes getting dressed simple and fun, the same thing happens with curriculum. You can start your day knowing exactly what you are going to do. You have choices, but they are clearly defined from the best of the best. You get a mix of light and fun and heavier assignments, but it's all cultivated with a purpose, not a burdened, cluttered mess. This is homeschool freedom! Does this help us grow spiritually, know and love God more, or strengthen our character? Does this spark joy in our family or deepen a love for learning? Does this provide serious educational value, a better understanding of the world, or offer valuable life skills? Does this bring relational value: help us bond as a family, have meaningful discussions, or understand and love people better? I pray and labor every day with the goal in mind to pack Sonlight with treasures that answer those questions with a resounding "yes." Your time is precious and the years with your children are short. Prioritize aspects of learning that give your family the biggest returns on the time you spend. One of the reasons I designed a literature-based homeschool model is this: when you read quality literature aloud, you get a big boost of character, relational bonding and academic value in one fell swoop. Like a superfood packed with nutrients, or the classic jeans or black dress that give your wardrobe mileage for days, the simple act of reading quality literature can be simple, joyful, and packed with benefits. Like a well-curated closet, my team and I have sought to give you tried and trusted staples and a mix of fun options. 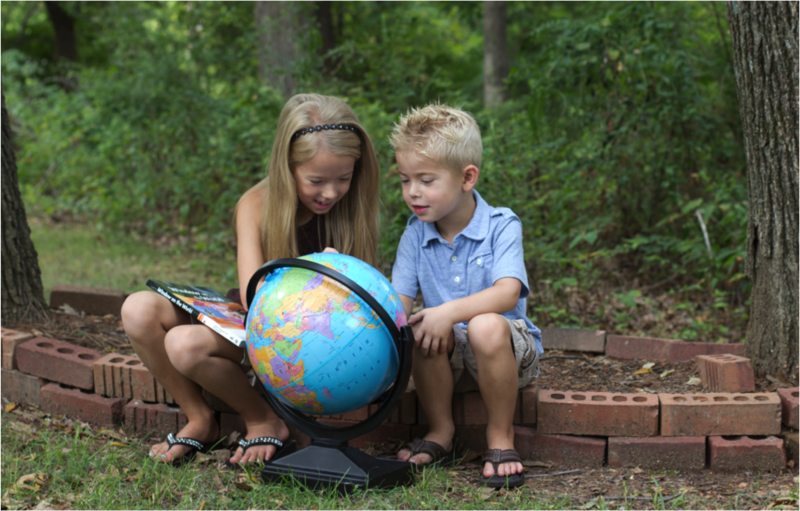 We've focused on resources and books that will not only benefit you in one way, but in multiple facets of your homeschool. Along with my team, we read and review well over 2,000 books in a single year, bypassing most of them and hanging onto a handful of treasures to include in Sonlight. Sometimes we must give up what's good to make room for the best. 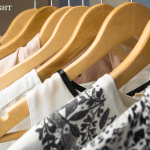 If you imagine Sonlight Curriculum as a closet, I've already eliminated a hundred items that are too much trouble to wear, too hard to care for, or don't coordinate with anything else. Instead of wading through textbooks and workbooks and wondering which of the many hands-on activities you could choose from will really help, you can just move right along to the key pieces that spark joy and learning. 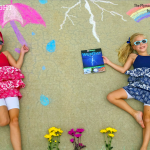 What is sparking your homeschool joy today?